In July 2013, Jay Blahnik, one of the most visible and successful fitness coaches in the world, suddenly disappeared. At the time, the trainer and author had been consulting with Nike on its Nike+ FuelBand and Nike+ Kinect Training products, working with companies like Gatorade, Nautilus, Bowflex, and Equinox, and traveling 40 weeks a year to preach the gospel of wellness on the conference circuit. Yet all of a sudden he’d gone off the radar—no events, no book signings, no media appearances, nothing. The website 9to5Mac, which obsessively covers everything Apple, noticed it first, and the tech and fitness worlds were soon abuzz with gossip. But it didn’t take long for everyone to discover that no tragedy had befallen Blahnik. He was just fine. He’d simply disappeared into the temple of Apple. A month later, with Blahnik now keeping a monk like silence, Apple scooped up Nike design director Ben Shaffer, who’d headed Innovation Kitchen, where the FuelBand had been developed. Then they hired Nancy Dougherty, a hardware engineer from a secretive start-up called Sano Intelligence, which hasn’t yet brought a product to market but is reportedly working on a sensor to measure things like blood sugar, a potentially lifesaving tool for diabetics; and potassium levels, which help regulate blood pressure. Soon after, two of the brightest minds at a similar firm, Vital Connect, bioengineer Alexander Chan and former biosensor tech VP Ravi Narasimhan, were hoovered up by Apple, too. Vital Connect had already released a next-generation, FDA-approved sensor called HealthPatch, which measures heart rate, body temperature, respiratory rate, sleep stages, posture, steps taken—even the impact of a fall—with a wireless patch that’s the size of a large Band-Aid and fits under a T-shirt. And Apple was just getting started. Next they grabbed Michael O’Reilly, M.D., chief medical officer at Masimo, the world’s top maker of “pulse oximetry” sensors, which noninvasively measure the amount of oxygen in the blood—a metric that’s particularly important for people with heart problems or sleep disorders, and also helpful to endurance and alpine athletes. By February of last year, Apple had hired a giant of sleep research, Roy J.E.M. Raymann, Ph.D., who founded the Philips Sleep Experience Laboratory, where sleep disorders are treated with nonpharmacological solutions like light therapy and sleep masks. Once hired, they all went officially dark. Not since the Manhattan Project of the 1940s, when J. Robert Oppenheimer recruited the world’s most brilliant theoretical physicists to devise the first atomic bomb, had such a scientific dream team been assembled in such secrecy. And though it was widely assumed that Apple’s new hires were brought on to work on the long-anticipated Apple Watch—the company’s first step into the $2.2 billion fitness-tracker industry—the Apple team actually had much more in mind than counting steps, tracking calories, or measuring heartbeats (or, for that matter, telling time). Instead, the true goal of the Apple team, according to the insiders we spoke to, has always been nothing less than the holy grail of advanced body tracking: a wearable system that’s so evolved—a “moonshot” in terms of technology—that it would revolutionize the entire health-care industry as we know it, just as Apple revolutionized the music business with the iPod and iTunes and changed the daily life of millions with the iPhone. When you strip away all the bells and whistles—the rose-gold casings; the multitude of digital watch faces; the apps that let you open your garage door remotely, view the lyrics to a song that’s playing near you, and send your doodles of flowers to friends and your heartbeat to lovers—and view the Watch purely as a fitness tracker, it may seem underwhelming. 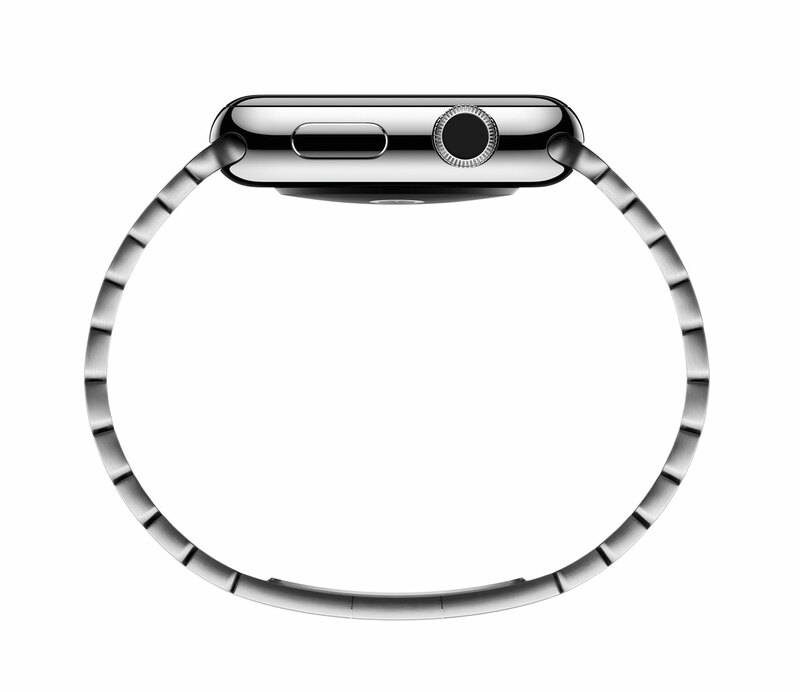 So far, the Apple Watch isn’t a giant technological leap forward. It has two built-in wellness apps: Activity, which tracks your daily steps and tells you when you’ve been sitting too long, and Workout, which tracks your calories and time as you exercise. Hardware-wise, it has an accelerometer to track steps, GPS capability for monitoring distance traveled, and a proprietary algorithm to estimate how many calories you’ve burned—all of which exist on other currently available wearables. It also has a fairly healthy (for a standard smartwatch) 18-hour battery life—unless you use it heavily and take advantage of its fitness capabilities often, in which case it gives you maybe three hours. You can blame the powerful processor and battery-sucking interface, but that’s what comes with the territory when using technology like cutting-edge biosensors and high-quality AMOLED (active-matrix organic light-emitting diode) touchscreens, which last only a little longer than the OLED touchscreens on, say, LG’s Android Wear watches. But the reality is that the Apple Watch (which officially goes on sale April 24) does, in fact, have something cutting-edge up its technological sleeve—a capability that, provided the Watch works as it’s designed to, distinguishes it from everything else on the market. For all of the dizzying number of wristband-style wearables on the market claiming to measure your heart rate accurately, you’d be forgiven for thinking that the technology for doing so is fairly basic, entry-level stuff. But how wrong you’d be. That’s a big flaw when you consider how important accurately tracking your heart rate can be, whether you’re training for endurance or just concerned about your general health. For example: The resting heart rate for a healthy guy should be around 70 beats per minute or less. If you measure your heart rate every morning and then one day it’s up 10 beats or more over your average, that means you haven’t fully recovered from your last workout and should take an easy day or a rest day. And if you’re training for a 10K race, marathon, triathlon, or other contest, you need to know your heart rate at various intervals to get the optimal training effect from your workouts. If your heart rate’s too high for too long, you could overtrain; if it’s too low, it could hold back your progress. The heart-rate wrist sensor is the first-generation Apple Watch’s biggest out-of-the-box breakthrough, but it’s not its only selling point. 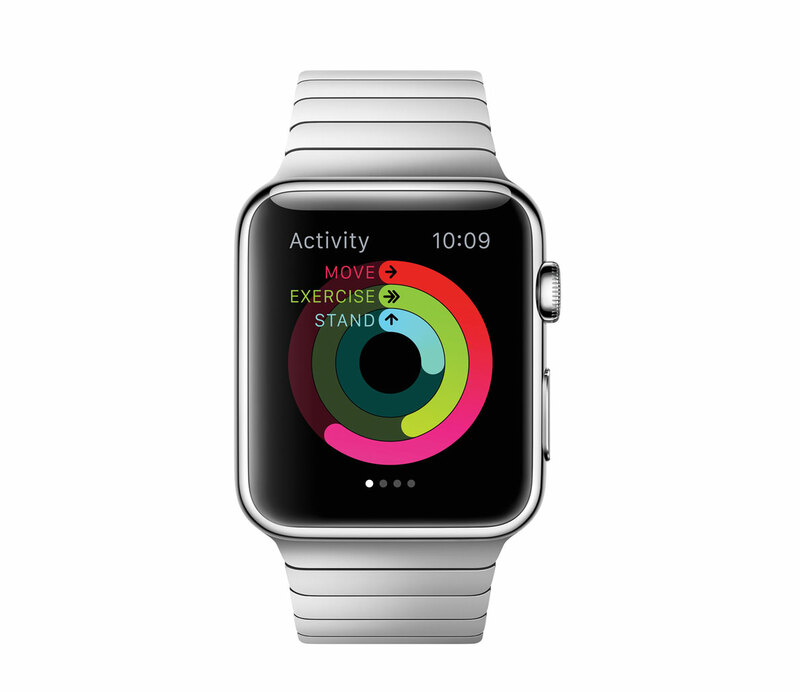 Unlike other fitness trackers, the Apple Watch won’t be working alone. It’s tightly connected to the iPhone and, more important, the larger ecosystem of iOS wellness apps that, used together, put all your basic health vitals—steps, calories, heart rate, blood glucose (if you use a monitor), weight, BMI, and even how much caffeine you’ve had today—in one central hub so you can get a full picture of your health and body. In the past year or so, iOS wellness apps have sought to bring all of a user’s health needs to their iPhones, where they have easy access to a deeper accounting of their health statistics and can make informed lifestyle decisions. For example, the Amwell app, which has been used more than 30 million times, allows patients to meet with their doctors face-to-face over the iPhone for a video consultation. Now, with the Apple Watch, the doctors who use Amwell—and thus the larger Apple ecosystem—will have access to how often their patients move during the day, the steps they take, their heart rate, plus how much and how intensely they exercise. And workout app FitStar, which can guide you through workouts and personal training sessions on the iPhone, will release a new version later this year that utilizes the Watch’s heart-rate monitor to provide real-time feedback as you exercise, notifying you when you need to speed up, slow down, or adjust your workout depending on the signals it receives from your heart. Beyond that, devices are being designed that, in the best-case scenario, will be able to be implanted in the body to measure just about every human function accurately, painlessly, and in real time—then transmit that information to the Apple Watch and iPhone health apps for instant, accurate monitoring. Apple’s open API (application programming interface, or the tools to create apps) makes it possible for programmers to create tools for the device that could revolutionize our health. As of this writing, CoheroHealth is working on an app for asthmatics to track their lung function; Sano Intelligence’s sensor-laden patch will monitor a wearer’s blood panel—with readings for kidney function, potassium levels, and electrolyte balance. And in Apple’s own house, at its event in March, Cook announced the launch of ResearchKit, an open-source platform for groundbreaking clinical studies. One app can test for Parkinson’s disease by measuring minute changes in the way we hold our phones or nearly inaudible shifts in the pitch of our voices. In the first 24 hours, more than 5,500 patients signed up—no small feat, given that more traditional studies of this nature are conducted with far fewer subjects and cost millions of dollars to complete. Granted, ResearchKit’s functionality is, at the moment, exclusive to iPhone, but that will very likely change as the Watch’s technology improves. 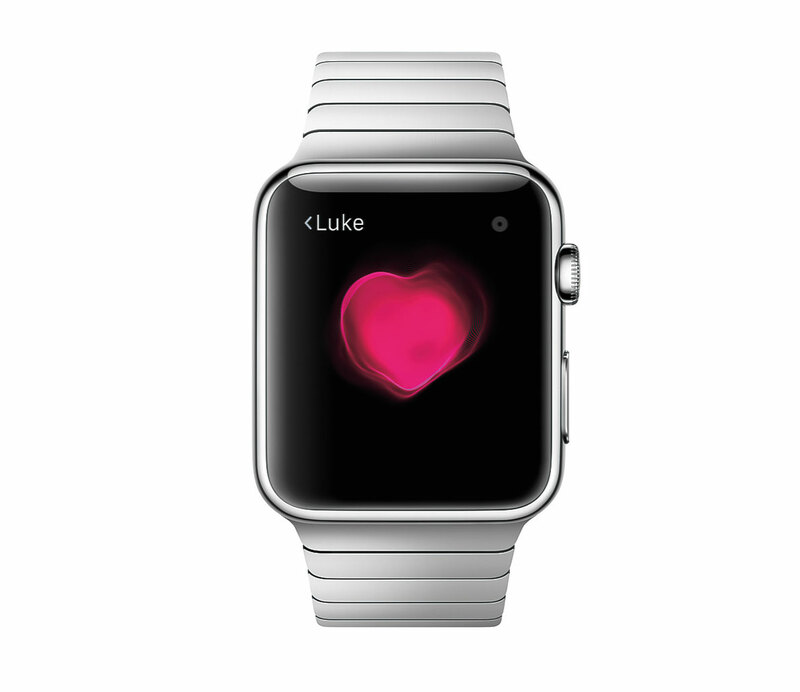 “Many of the biological sensors Apple is working on right now aren’t yet ready for prime time. But as they get smaller and more accurate, you’ll see the Watch become integrated into [Apple’s health-minded ecosystem],” says 9to5Mac’s Mark Gurman. Then there’s the most elusive prize: noninvasive glucose testing. Glucose is the clinical term for blood sugar, and there’s probably no better single indicator of your body’s state of health at any given time than your blood-sugar level. For diabetics, of course, knowing blood sugar is a matter of life and death. Because they must prick their skin for blood samples several times a day, such a device would be a game changer. A recent study in the Journal of the American Medical Association found that diabetics who check glucose more often live longer. The 30-year study reported that people who strictly controlled their diabetes with injectable insulin for the first seven years after diagnosis had a 33% reduction in deaths compared with those whose diabetes was not as well-controlled. But even for average folks, knowing glucose levels could profoundly alter their diet and fitness routines. Credit Suisse recently estimated that up to 40% of our health-care costs are directly related to overconsumption of sugar and the havoc it wreaks on our bodies. When your blood sugar spikes too high, the body stores the extra energy as fat, which creates a cascading set of problems, even for those who aren’t (yet) overweight, let alone diabetic. Real-time glucose monitoring—and keeping your blood sugar low by adjusting your diet and exercise—could help you control your weight and reduce your risk of heart disease, type-2 diabetes, many cancers, Alzheimer’s disease, and a host of other illnesses. Unfortunately, right now, the only way to monitor glucose is to do so “invasively”—by pricking a needle into the skin or inserting a small sensor under the skin that communicates with a device worn on the body. But according to several Silicon Valley experts, Apple has its sights set on changing this. One of the chief goals of Apple’s Manhattan Project is, in fact, a noninvasive glucose monitor for future generations of the Apple Watch. “Noninvasive glucose is the ‘cold fusion’ of health tracking,” says LeBoeuf of Valencell, who believes we’re several years off from mass-producing such a technology. The invention process is so difficult because glucose is colorless, even under infrared light, and its concentration varies in different tissue. Plus, the amount of glucose in one’s system at any given time is tiny, about five grams—the same as a packet of sugar at the coffee shop. So it’s no surprise that, as a biomarker, it’s nearly invisible from outside the body. Not surprisingly, Apple isn’t the first or only company trying to develop a method of noninvasive testing. John Smith, the former chief scientific officer of Johnson & Johnson’s LifeScan, has spent decades on it and chronicled his journey in a book called Hunting the Deceitful Turkey. Smith writes that, in 30-plus years, more than 100 research groups have spent hundreds of millions of dollars trying to create a glucose monitor, yet not one has managed to get a single product to market. “It’s not, perhaps, as difficult or fraught with problems as realizing time travel or finding the final ‘grand unifying theory’ of physics,” he writes, “but it’s all the more tantalizing because it seemed for decades that the solution was always ‘just around the corner’ or, at most, ‘just over the horizon.’ ” Smith recalls a certain venture capitalist who sent him a bottle of Irish whiskey after reading his book as a thank-you for stopping him from making a terrible investment. The truth is that no one knows what a working noninvasive glucose monitor will look like. So far, researchers have tried and failed with pulse oximetry, nuclear magnetic resonance, microwave spectroscopy, optical coherence tomography—all sensors that have failed to work through the skin. Last year, Google announced it was developing a contact lens that could monitor glucose with a probe on the eyeball itself. In terms of technology, one of the leading contenders right now is based in Israel. Zeev Zalevsky, Ph.D., a researcher at Bar-Ilan University in Ramat Gan, is testing a version that uses a laser and an electromagnetic field to measure glucose through the arm. “Our clinical trials show that we’re within a 15% margin of error,” he says. “The device is small enough to fit into a watch, but we still need to get more accurate. Our problem at this point is funding.” Of course, that’s a problem that Apple, with a cash reserve of $178 billion, doesn’t share. as changes in temperature and humidity. Dexcom, a company based in San Diego, has actually come closest to achieving the noninvasive blood-monitoring moonshot. They’ve developed an FDA-approved injectable platinum implant the width of a human hair that can monitor blood sugar continuously but must be replaced weekly—and it’s going to sync with the Apple Watch. “The wrist may not be the perfect place for an activity tracker, but it is the perfect place to monitor glucose because it’s discreet,” says Jorge Valdes, the company’s chief technical officer. “Traditional monitoring equipment is bulky, and people don’t want everyone to know they have diabetes.” Valdes’ team is launching an app for the Watch that lets users see their blood sugar in real time. They’ll still need to draw blood every 12 hours to maintain the implant’s calibration, but it’s a gigantic leap forward. Whatever the blood-glucose monitor looks like, experts say it will inevitably open the floodgates for a whole new world of blood-based analysis. WellnessFX, a company based in San Francisco, predicted this world of Big Blood in 2011 and started offering advanced analytics by connecting patients with doctors who make high-level recommendations based on standard blood tests. “People can see what nutrients they’re missing, then fix their diet and see how that impacts their results,” says Christine Keating, WellnessFX’s VP of customer experience. She says that fringe biohackers and Paleo enthusiasts became early adopters, but now that the service is available in 44 states, it’s primed to go mainstream. WellnessFX hasn’t yet partnered with any fitness tracker, she says, because “there are so many on the landscape,” and the technology just isn’t quite there yet.